Golden Globe winner, Gina Rodriguez (Annihilation,“Jane the Virgin”) takes charge in the high-octane action adventure, MISS BALA, debuting on Digital April 16 and coming to Blu-ray and DVD April 30, from Sony Pictures Home Entertainment. Caught in the perilous world of a brutal cross-border cartel, a young woman finds powers she never knew she had as she seeks to rescue her friend. Hollywood’s newest heartthrob, Ismael Cruz-Córdova (Mary Queen of Scots), stars alongside Rodriguez as the cartel kingpin, whose growing attraction to his strong-willed female hostage raises the stakes for both as the CIA, DEA, and rival cartels close in. Rodriguez and Cruz-Córdova are joined by co-stars, Anthony Mackie (Avengers: Infinity War) and Matt Lauria (“Friday Night Lights”) in this female-driven action story directed by Catherine Hardwicke (Twilight) from a screenplay by Gareth Dunnet-Alcocer (Contrapelo). 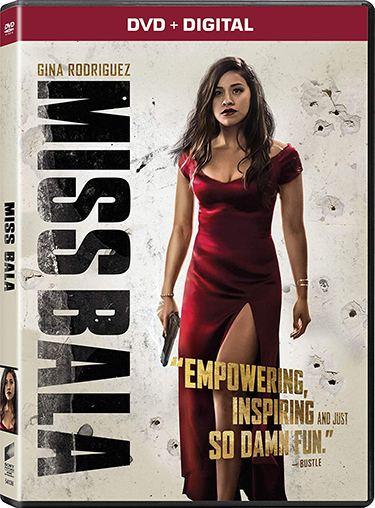 MISS BALA on Blu-ray, DVD and Digital comes loaded with over 60 minutes of bonus material, including eight deleted and extended scenes, wardrobe and rehearsal footage with insights by director Catherine Hardwicke, and three behind-the-scenes featurettes. In “Gina: The Unstoppable Strength of a Woman”, Rodriguez explains the importance of portraying a strong Latina woman on the big screen, with the cast & crew proclaiming why she was the only actress who could tackle on this role. Learn how the cast and stunt team created the action-packed gun fights and explosive scenes in “The Bigger the Bang: Action on Set”. 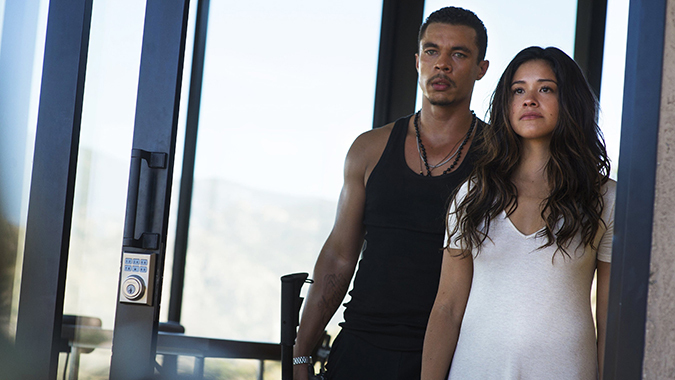 In “The Making of MISS BALA”, discover how this empowering story was brought to life from script to screen with a 95 percent Latinx cast and crew, a new benchmark for Hollywood diversity, with looks into the supporting cast and vibrant locations. Finally, delve deeper into the production with a feature audio commentary by Director Catherine Hardwicke, Executive Producer Jamie Marshall, and Associate Producer Shayda Frost. 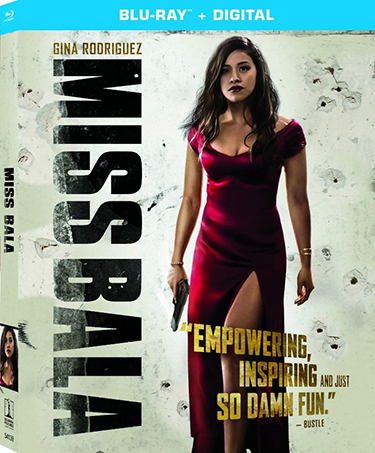 MISS BALA is a Canana / Misher Films production, presented by Columbia Pictures. The film is directed by Catherine Hardwicke from a screenplay by Gareth Dunnet-Alcocer. It is executive produced by Mauricio Katz, Gerardo Naranjo, Catherine Hardwicke, Gareth Dunnet-Alcocer, Samson Mucke, Arturo Sampson, Andy Berman, and Jamie Marshall, and produced by Kevin Misher and Pablo Cruz. MISS BALA has a run time of approximately 104 minutes and is rated PG-13 for sequences of gun violence, sexual and drug content, thematic material, and language. Golden Globe is a registered trademark and service mark of the Hollywood Foreign Press Association.